Channel 8 is a professional financial advisory licensed with the Securities and Futures Commission (SFC) for regulated activities type 1 (Dealing in Securities), type 4 (Advising on Securities) and type 9 (Asset Management). We are also a member of the Hong Kong Confederation of Insurance Brokers and are a registered Mandatory Provident Fund (MPF) Intermediary. 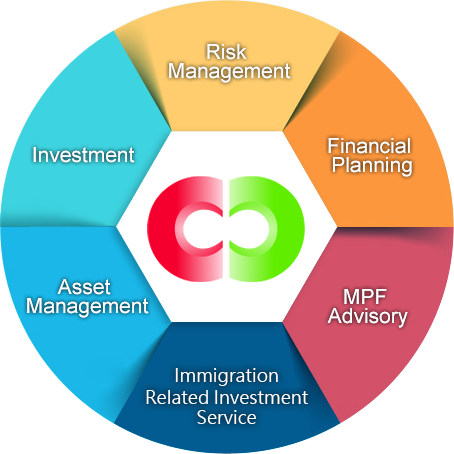 We provide a wide range of financial services which includes financial planning, investment, risk management, asset management, MPF advisory and services related to Capital Investment Entrant Scheme. Through an elite team of experienced financial professionals, we help our clients to realize their financial goals in various stages of lives. Our business partners include many internationally-renowned financial institutions, which allow us to provide a wide range of top-notch financial products.